Delong Instruments and Delong America belong to Delong Group: a long-term partnership between Delong Instruments and Delong America have permitted the Delong Group to stand out in high tech, engineering design, manufacturing, and sales sectors. The Delong Group now affirms its presence in the continents of Europe and North America. Delong Instruments is settled in Brno, the Czech Republic, which is considered the world capital of electron microscopy. 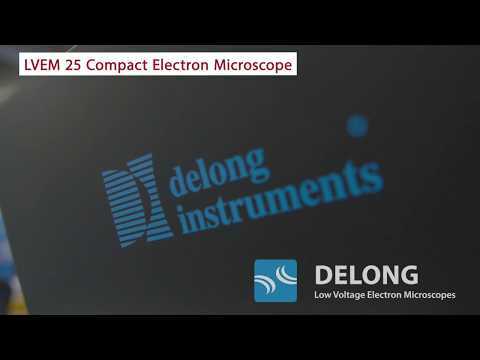 Delong Instruments has more than 25 years of experience in the area of transmission electron microscopy (TEM). The company is also processing innovative electron-optical instruments, offering engineering design services as well as manufacturing precision parts and vacuum technology. The primary objective of Delong Instruments is to make electron microscopes more accessible and practical. That is why Delong Instruments puts additional emphasis on keeping microscopes innovative, compact, and easy to install, maintain and work with. Delong Instruments has developed the first table-top TEM on the planet and specializes in low electron energy. This expertise helps their microscopes to attain a high contrast of light elements and low radiation load. Therefore, Delong Instruments has extended the range of observation methods. For more information, please visit www.delong.cz. 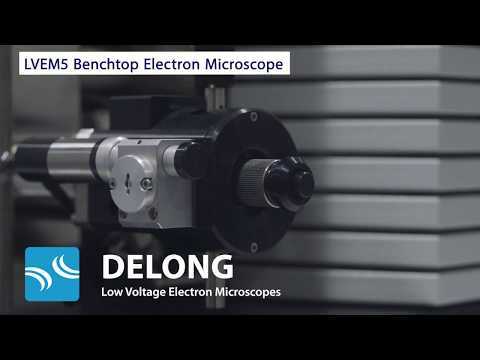 Delong America is the long-time partner of Delong Instruments and is responsible for the overview of global sales, marketing, servicing, and the establishment of a global distribution network for both the LVEM5 and LVEM25 low-voltage electron microscopes. Delong America collaborates very closely with their partners to ensure that all research equipment invested in meeting the highest quality standards that have now become synonymous with the Delong name. The LVEM5 electron microscope is the uniquely designed benchtop low voltage electron microscope that is small enough to fit anywhere nanoscale imaging is needed. A remarkable imaging tool equipped with TEM, SEM, and STEM modes and designed to produce detailed and meaningful image results with the unmatched contrast of biologic and soft material samples. The LVEM5 is a benefit to any lab working, researching or studying nanomaterials. The LVEM5 offers unmatched versatility by integrating 4 imaging modes into one very capable yet benchtop sized microscope. Depending on system configuration the LVEM5 can alternate between operating as a Transmission Electron Microscope (TEM), Scanning Electron Microscope (SEM), Scanning Transmission Electron Microscope (STEM) and can even provide Electron Diffraction (ED) data without ever having to re-align the column or adjust the sample. This allows both surface and transmission images of the sample to be captured from the same area of interest. The ability of a single instrument to undertake multiple imaging modes can’t be understated, and it is quickly becoming the indispensable tool of choice for many research labs. This hardware-based enhancement of the basic TEM imaging mode provides increased total magnification and higher resolving power in the TEM images. A more advanced and powerful projective lens, combined with a far more sensitive camera allows for higher image quality as well as higher magnification and resolution. The LVEM25 is a fast, compact and powerful transmission electron microscope engineered to seamlessly blend a compact form factor with uncompromised capabilities. This microscope combines the unique LVEM technical features with stronger electron beam penetration and is thus able to image conventionally prepared samples. Learn about the unique features that make the LVEM25 Transmission Electron Microscope a great fit for any lab. The Field Emission Gun (FEG) is a low voltage Schottkey type with very high brightness and spatial coherency. This allows for strong interactions between electrons and the sample. The minimum expected lifetime of the FEG is around 2,000 hours. A high-resolution final TEM image is projected onto the YAG Screen via the electron beam. From there, light optics take over to produce an image onto the computer screen. The uniquely-designed 25kV Schottky type FEG (field emission gun) employed by the LVEM25 has very high brightness and spatial coherence with a lifetime of several thousand hours. The high brightness and small virtual source of the electron gun allows transmission and scanning modes in a single instrument. Ion pumps are inherently dry, vibration-free and achieve very high vacuum levels. By making use of specially designed ion getter pumps, the LVEM25 avoids all contamination in the sample space, resulting in stable imaging conditions and the absence of any artifacts. The LVEM25 is designed to operate without any cooling. With conventional electron microscopes, active cooling is required to remove considerable heat generated by electric current circulating in the electromagnetic lenses. The uniquely designed permanent magnet lenses used in the LVEM25 require no cooling. Electron optics provide the initial stages of magnification cation where the initial image is formed on a YAG scintillator screen. Light optics that are stable and reliable, further magnify the initial image from the YAG screen. Light transport from the fluorescent screen into the light optics is highly efficient. Digital Imaging is done by means of a TE Cooled Scientific CMOS camera with 2560×2160 pixels mounted on the top of the LVEM25. The image capture software is designed for acquisition, documentation, and analysis of high-performance image data. Various image processing procedures, such as summing, live FFT, and automatic contrast adjustment are available.